Yes!!! I love ze hummus. I love hummus on bread, on crackers, on everything that can be dipped. I love absolutely love hummus. Thank you Middle East for giving us the gift of hummus. What I don’t love is the hummus you find in jars. Ewww.. its everything thats hummus shouldn’t be. 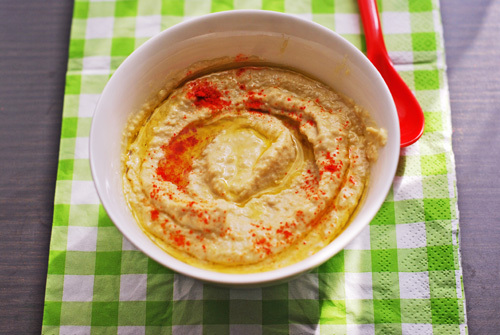 Making your own hummus will give you an air of smugness and a feeling most satisfying.. You’re creating hummus.. at home.!!!! After many try outs, recipes, and taste tests, I finally figured a hummus recipe which is loved in my house. Easily devoured and makes a decent quantity. It’s just a bread away from being a supper in it’s entirety. Works fabulously as a crowd pleaser and a party piece. 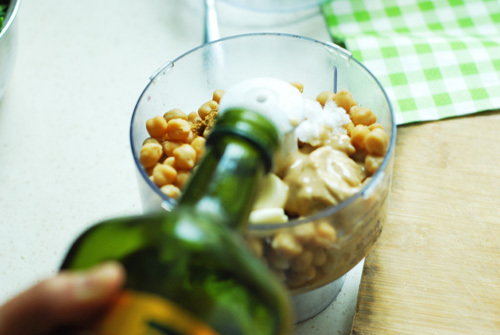 Just put this on a table with torn pieces of breads, and you’ve got yourself a fantastic appetizer..
Chickpeas, garlic cloves. tahini paste,Extra virgin olive oil, salt and coriander powder. 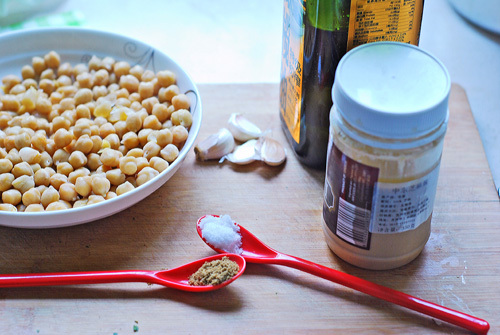 I don’t use canned chickpeas, though if you wish you can use those. I soak the chickpeas for 6-10 hours. Overnight works best and boil them till they are tender. 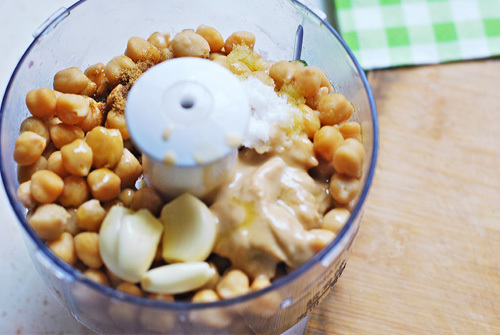 Dump everything together in a food processer, you can use a blender of you wish. for me this ferocious little chopper works best. Add in the extra virgin olive oil and whizz to a paste. If you feel it’s too dry you can add a bit of water, though this won’t happen if you dont go too easy on the oil. Garnish with some more lovely green olive oil and paprika..
such miraculous, gratifying results.. 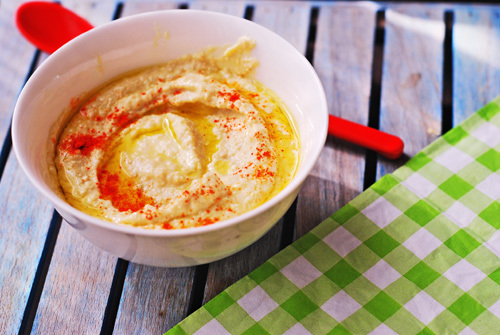 This is the kind of hummus you just can’t go wrong with. Of course there isn’t a set recipe for anything. It’s always to your taste, so play with it. Adjust quantities and seasonings to your liking and the results are highly rewarding…….. Enjoy !! 1/2 tsp paprika (optional) for sprinkling before serving. Recipe:- In a food processer or a blender process together the chickpeas, garlic, tahini, salt and coriander powder with the olive oil. If it’s too dry or thick add in 1 tsp water or olive oil until you get the consistency you want. Keep tasting for salt. It should be according to your taste. To serve drizzle some olive oil and some paprika for a burst of colours. Serve with pita, baguette or even crackers..